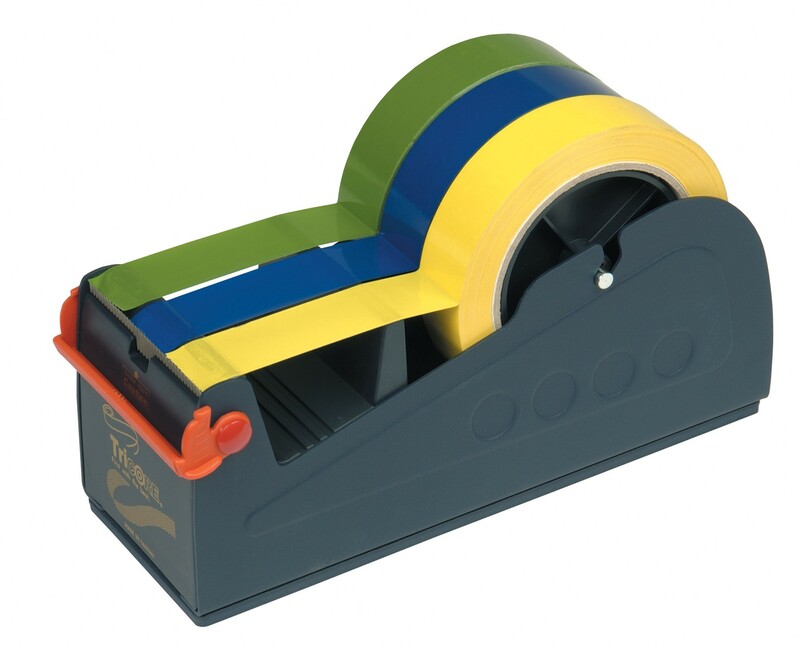 This handy tape dispenser by popular brand name Pacplus is an excellent addition to any industrial business. Designed to hold three different coloured sealing tapes you can have easy access to the tape you need. A sharp blade ensures the quick and efficient cutting of the tape and a blade protector ensures your safety when not in use. The frame of the tape dispenser is made from a high quality metal so that it can withstand the everyday wear and tear of specific environments.